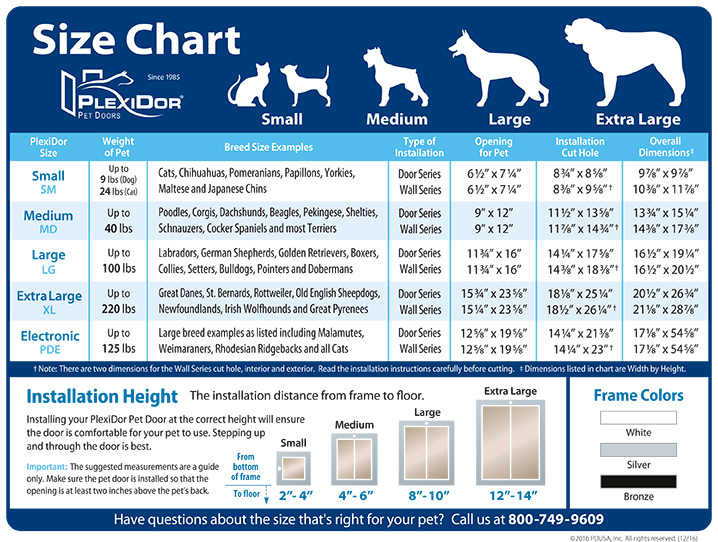 The below size chart shows installation cut hole, opening for pet, and overall size, click on it to get the full size version. 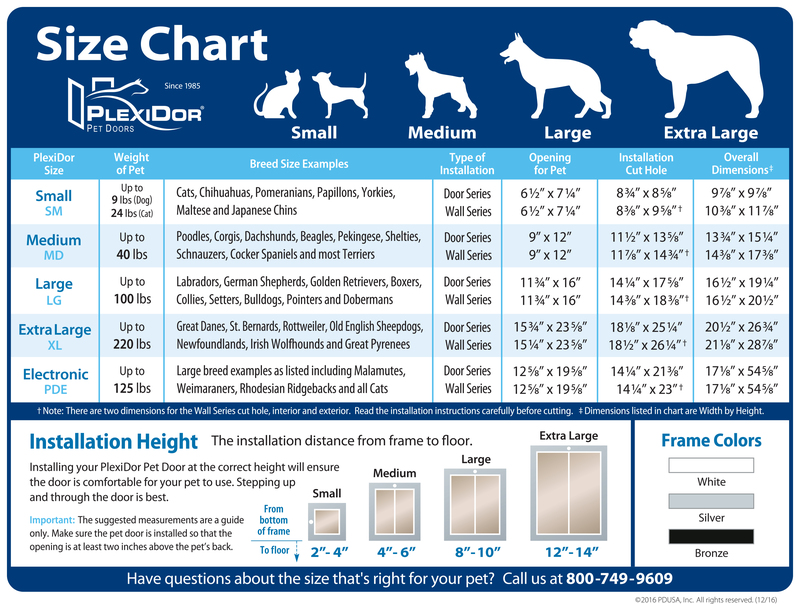 Note that there are two different installation cut holes for wall installation. This is because the tunnel is sloped, to ensure rainwater and similar will remain outside.